NCFS has developed and maintained three online databases with the Technical/Scientific Working Group for Fire and Explosions; Ignitable Liquids Reference Collection , Substrate database, and Smokeless Powder Database. 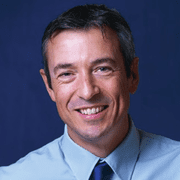 Michael Sigman and his group collaborate with the database committees on research projects which provide the forensic science community practical information and knowledge as well as introduce novel research ideas. NCFS has collaborated with ENFSI FEIWG to develop an International Database of Ignitable Liquids. The International Database of Ignitable Liquids is a compilation of reference ignitable liquid information, characterization data, and gas chromatography-mass spectrometry data for use by forensic analysts to conduct fire debris analysis. All data and information are provided by contributors performing fire debris analysis. 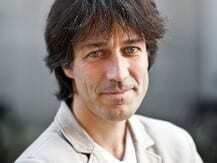 The Amsterdam Center for Forensic Science and Medicine, officially named the Co van Ledden Hulsebosch Center (CLHC), was established on September 13, 2013 by the Faculty of Science (FNWI) and the Academic Medical Center (AMC) of the University of Amsterdam (UvA) and the Netherlands Forensic Institute (NFI). The CLHC is named after the famous Dutch forensic pioneer Christiaan Jacobus (Co) van Ledden Hulsebosch, the Amsterdam pharmacist who introduced crime scene science in the Netherlands at the beginning of the 20th century. The virtual center is closely linked to the Master’s program in Forensic Science at the UvA and stimulates and coordinates forensic science projects within the participating institutes and research teams. By identifying common forensic themes funding opportunities are identified and new PhD and master projects are initiated as part of a coherent forensic research program. In 2014 and 2015 more than 30 PhD projects fully or partly dedicated to forensic science were ongoing, resulting in over 100 peer-reviewed publications and 8 PhD theses. Science based innovations from the CLHC provide added value for the criminal justice system. The CLHC actively promotes forensic science by building and maintaining an international network, organizing meetings for PhD students and initiating forensic research outside the traditional criminal justice domain. 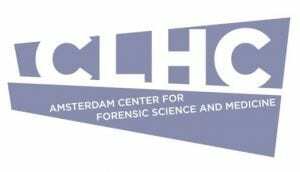 The CLHC is a national and international point of contact for forensic research in the Netherlands and is a partner of the National Center for Forensic Science of the University of Central Florida. For more information please contact CLHC directors prof Dr Maurice Aalders and prof dr Arian van Asten or visit the CLHC website. The collaboration between academic faculty interested in forensic science research and education, practicing forensic scientists in law enforcement agencies, scientists in well-equipped government laboratories and public-oriented corporate sponsors results in a synergistic environment that is mutually beneficial to the advancement of forensic science. Practicing forensic scientists provide many years of experience and expertise with real world scientific challenges. The academic researchers provide a second arena for scientific validation that enhances the scientific defensibility of results in the courtroom and provide the student assistance to address research needs. Government laboratories provide access to additional state-of-the-art facilities and expertise. This Institute evolved from a long successful criminalistics chemistry program in the FIU Chemistry department with dozens of FIU interns completing internships at the Metro-Dade Police Crime Lab and other forensic science laboratories. The institute currently administers an interdisciplinary FIU undergraduate level Forensic Science Certificate and the first SUS BOR approved M.S. in Forensic Science, an interdisciplinary graduate program with non-traditional course delivery available. Visit the IFRI website at http://ifri.fiu.edu/. The Department Forensic and Investigative Science at WVU is affiliated with outside organizations to advance the field of forensic science. Faculty actively perform research in their respective fields. Many projects involve undergraduate and/or graduate-level research.